Teeth vary in size, shape and their location in the jaws. These variations enable teeth to work together to help you chew, speak, smile and support your facial structure. 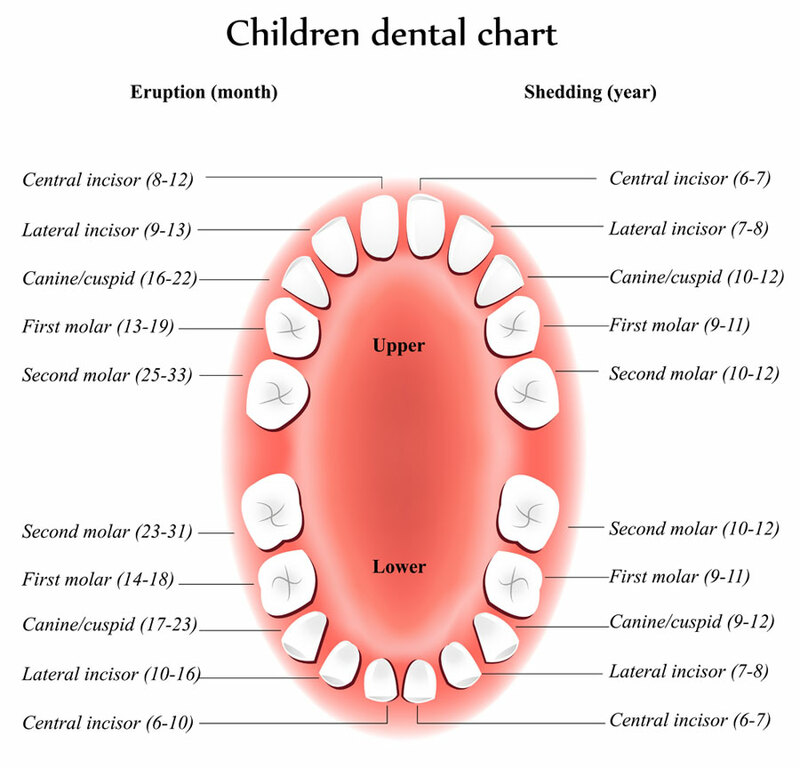 At birth, babies usually have twenty primary teeth, which often start about 6 months of age. They then fall out at various times throughout childhood. By age 21, all 32 of the permanent teeth have usually erupted. Here’s a chart that shows the schedule.